I remember my best friend's gradmother Patti. Some of the people though they are no more in this world, they will always remain in my heart forever, she is one of them. As a teenager I use to visit my friend's house everyday, infact it was my second home. 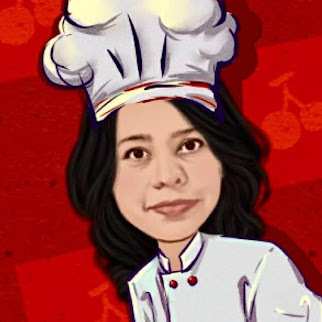 Patti use to make many Tamilian dishes and I picked up few of them from her, though few of the dishes are forgotten and few I remember. 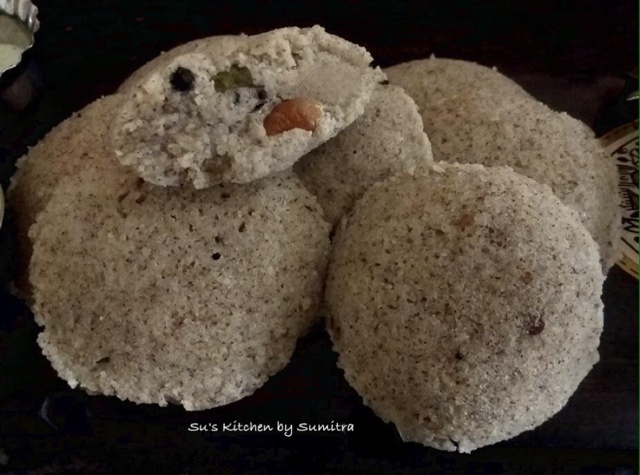 One of the dish was Kanchipuram Idlis. She used black lentils with skin and rice, soaked it over night and she use to ground it on a stone grinder. Then the batter was left to ferment overnight and it was seasoned with salt, some curry leaves, mustard seeds, chana dal, few peppercorn, few broken cashwenuts and 2 pinch of asafoetida. 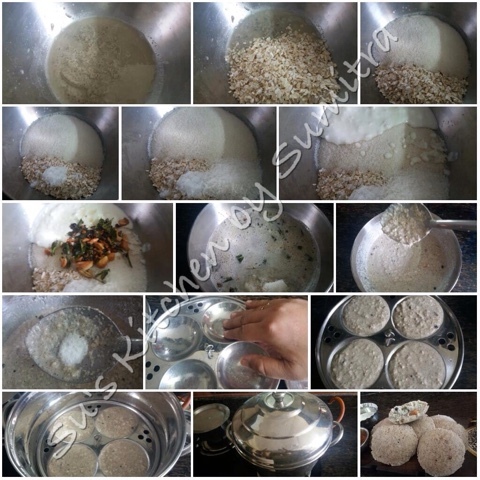 Then the rest of the process remained the same for making the idlis. 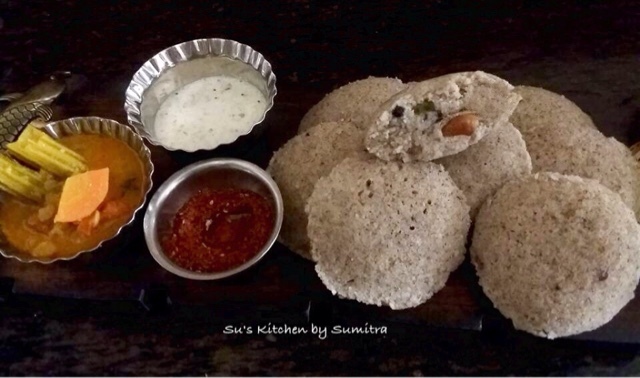 She served it with coconut chutney and milagai podi which was again homemade. Take a pan and add ghee in it. Let it. Heat add the chana dal, stir it for a minute. Add the mustard seeds, let it crackle. Add peppercorn and few Cashwenuts, stir it for a minute. Add the green chillies and curry leaves. Stir for another minute. Add asafoetida and stir it for few seconds. Remove it from the flame. 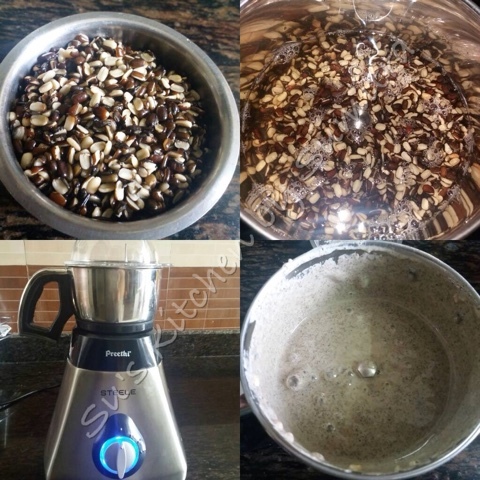 Grind the soaked lentils in a grinder. Remove it in a mixing bowl, add oats, ldli rawa, coconut, salt, curd, seasoning and water as per required to make a batter. It should be dropping consistency. Add eno. Mix it and let it stand for 10 minutes. 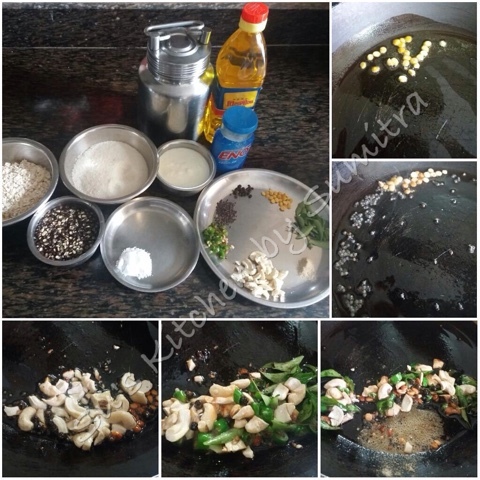 Take idli moulds and apply seasam oil on it. Add the batter and steam it till done. Serve it with chutney and sambhar.